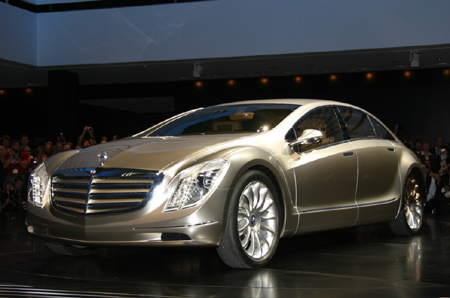 2007-Special Car of Mercedes Benz F700, Mercede gallery, pictures, photo's. The Mercedes Benz F700 looks beautiful, having that specific Mercedes elegance. It has distinctive front fenders, flowing side-skirts, recessed door handles, and turbine blade 21 inch wheels. Luminescent strips on the wheel arches emphasize the contours and size of the tires, while a transparent cover over the rear wheels enhances aerodynamic efficiency.